The Bay City Walking Dredge is a unique and historic piece of American ingenuity. 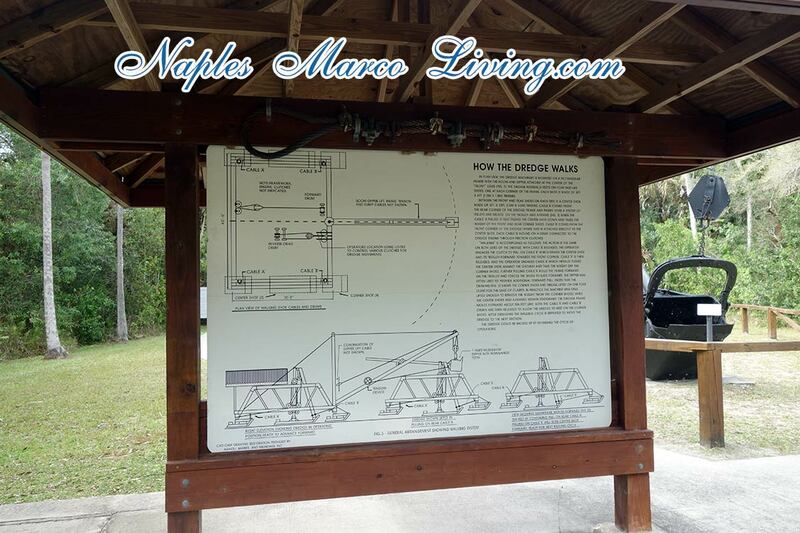 Take a drive down US 41 to Collier-Seminole State Park to witness and walk on the machinery that built the the Tamiami Trail. Explore the links below. 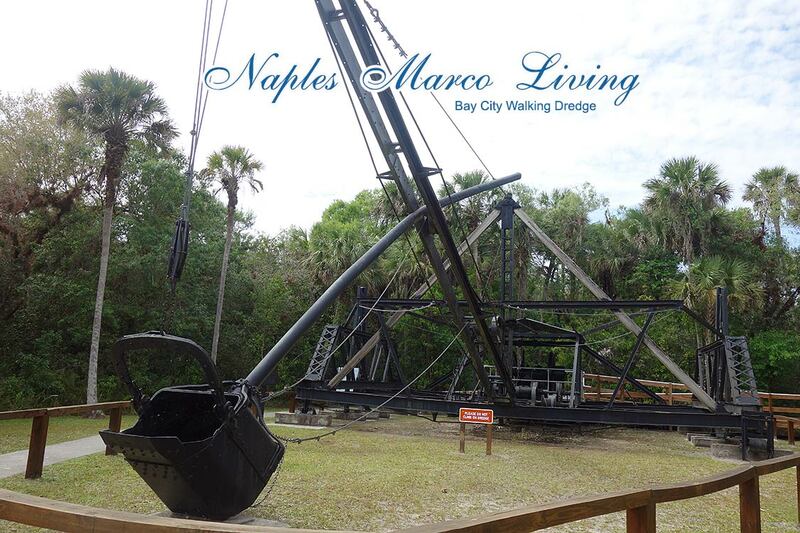 To feature your Naples, Everglades, south Florida Attraction, contact us. The Bay City Walking Bridge recently became a national registered historic site (May 2013). 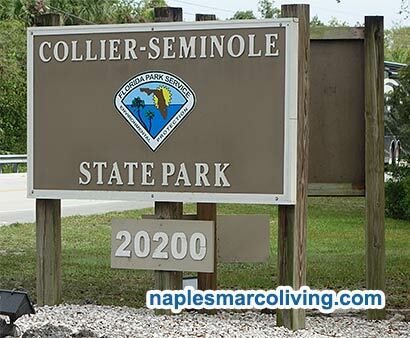 Collier-Seminole State Park is performing repairs on the famous dredge. The machine is now resting quietly on the park grounds. During it’s operation the Dredge was a noisey and dirty workhorse that chugged and clanked it’s way through the insect and reptile invested swamps to dig out the muck and reveal the limestone surface for the building of the “Tampa to Miami” road – now known as the “Tamiami Trail”. Hard working Florida men traveled along with the dredge often working ten hour days in sweltering heat. Meece Ellis and Earl Ivey worked the Dredge and live on floating barges or trailers puiled by tractors. Sign explains how the Dredge made the roadway possible. Barron Collier invested much of his personal fortune to help finish the road. The Bay City Waling Dredge was honored by the American Society of Mechanical engineers in 1994 and the Dredge was named a National Historic Mechanical engineering Landmark. We salute the machine and the men who invested and worked it. Views it at Collier Seminole State Park in Collier County. 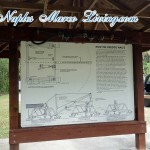 The park offers camping and is the site of the now retired Bay City Walking Dredge.